I had the awesome opportunity to go on a girl’s trip hosted by CEO of Superstar Nail Lacquer, Style & Travel Girl Blogger, Ariana Pierce. She led a group of ladies to the beautifully historic Quebec City in Canada. A French speaking culture founded in 1608, Quebec City has charming cobblestone streets, exquisite fine dining, and gorgeous views and sunsets. The trip had so many great moments—from seeing the beautiful and historic sites, to eating the incredible food which was so natural in its origin, to incredible girl chats about goals and plans for the new year. Checkout Ariana’s blog on the city and the entire experience by clicking here. I am so grateful to Ariana for this incredible experience. I had the opportunity to see and be part of so much more because of the doors she opened and the connections she delivered. 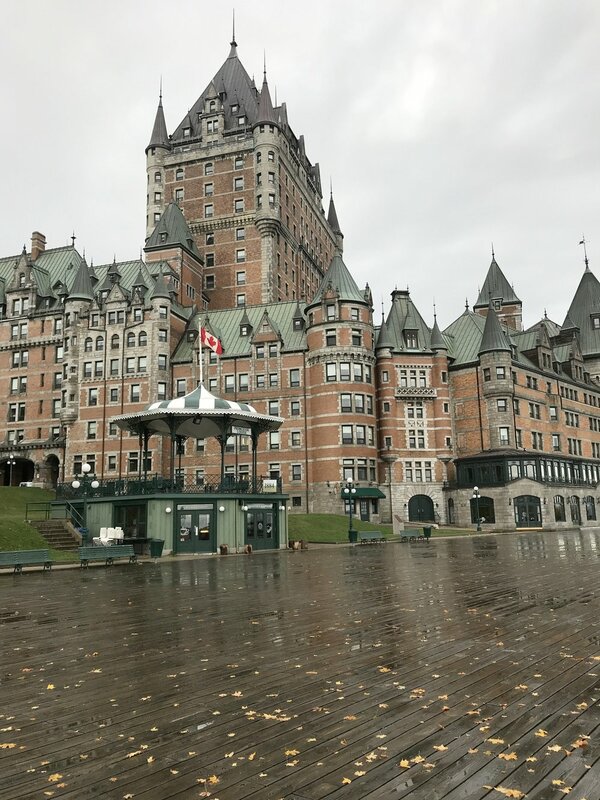 Staying at the Fairmont Le Château Frontenac hotel was remarkable! It’s a castle with so much history, beauty and amazing service. I had the opportunity to partake in a fabulous high tea, experience a historical tour of the hotel, see a behind the scenes tour of the pastry kitchen and grand cheese display, and sleep in a ultra comfy bed which was so needed after miles of walking each day. While the scenery and activities were fabulous (not to mention the dessert), it was what I learned from Ariana and the connections that I made with the other ladies that made this trip great. It showed me the power of stopping the hustle and bustle of life and enjoying something completely different, in order to truly reflect and learn more about myself. 1. Be open-minded – what made this trip work was flexibility. No one was pushing a personal agenda or competing in any way. Because everyone was open to doing various activities at different times we ultimately enjoyed everything the city had to offer. "A bad attitude is like a flat tire, you'll never go anywhere until you change it" -- Anonymous. This couldn’t be more true! Attitude is a choice and you have to decide to be fun, loving, and happy to others. 3. Be supportive – I never would have decided to go along on this trip if it weren’t for Ariana. Given that fact I recognized because of her position and connections I was enjoying way more than if I did the traditional “Internet search” for a new vacation spot. I knew the importance of supporting her plans, and that through my support it was ultimately given me an amazing experience to write about. 4. Have fun – this final point sums it all up if you’re hanging with your girls—it’s all about having fun. Smile, laugh, enjoy great talks and motivational moments to sharpen each other, then have fun and create memories that last. As Ariana said in her blog post for this trip, "I’m a firm believer that you remain more grateful when you take the time to commemorate your wins"! Enjoy the photos below to get a taste of the city and all I experienced! I hope you’ve enjoyed this post. To learn more about Ariana Pierce click here.